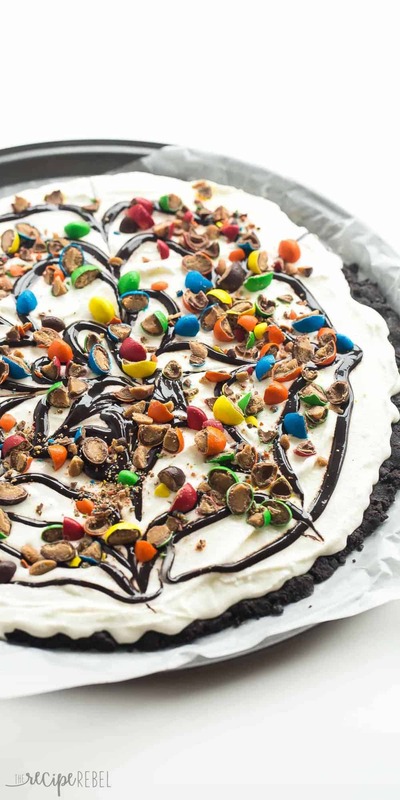 This Frozen Ice Cream Dessert Pizza is THE no bake summer dessert you need! 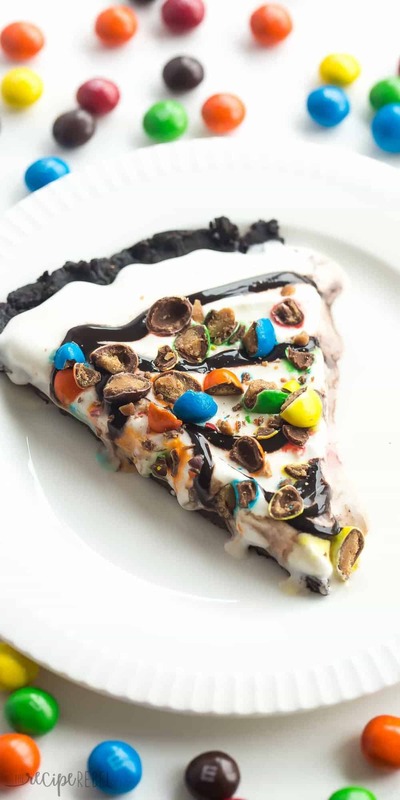 A Dairy Queen Copycat Treatzza Pizza, it has an Oreo fudge crust topped with ice cream, fudge sauce and M&M’s! Follow my Ice Cream and Frozen Desserts board on Pinterest for more like this! Growing up, I used to love those Treatzza Pizzas from Dairy Queen! As I was writing this post though, I was wondering if my American friends have Treatzza Pizzas? I tried searching on the Canadian and American DQ web sites and I didn’t find much on the American sites. What a shame it would be if you had to live your lives without the Treatzza Pizza! Thankfully, I’ve brought you a copycat Treatzza Pizza recipe today. 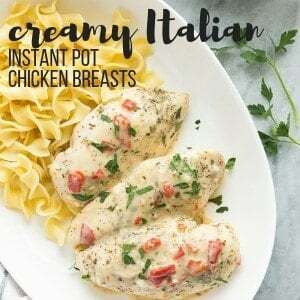 And yes, I’m still terrible at naming recipes. But just in case there were people who don’t know what a Treatzza Pizza is, it is a Frozen Ice Cream Dessert Pizza, aka, everything delicious and frosty that you could ever want. You know I love pizza. I love dessert pizza just as much (like this Nutella Brownie Fruit Pizza?!). 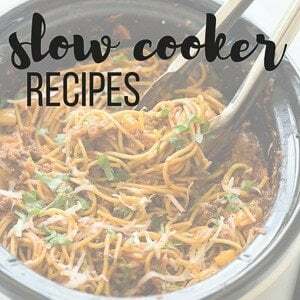 This recipe is super, super simple to make. It’s completely no bake, the crust is just crushed Oreos and fudge sauce, and the topping is softened ice cream topped with whatever you want. Use M&M’s like I did, or use Peanut Butter Cups, berries, whatever — just as long as it’s not too hard to eat frozen! If you’re using something pretty firm, you’ll want to chop them up so they’re smaller bites. 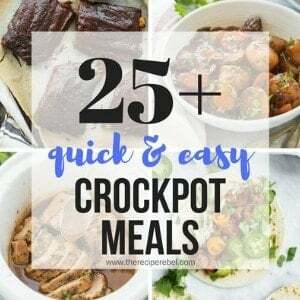 Super quick prep — 20 minutes max! Feel free to mix and match to your heart’s desire! Or make a bunch of crusts and top them with a variety of things — these would be perfect for a summer party or barbecue! 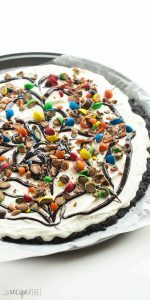 This Frozen Ice Cream Dessert Pizza (a Dairy Queen Copycat Treatzza Pizza!) is THE no bake summer dessert you need! 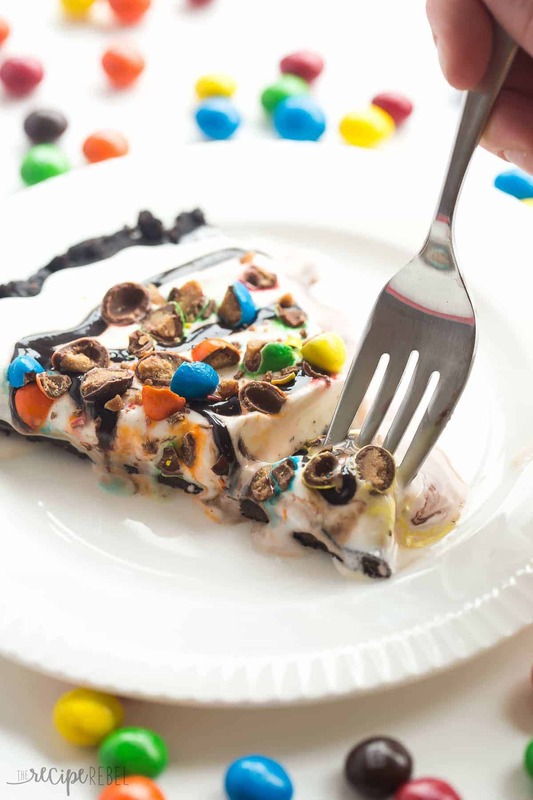 An Oreo fudge crust topped with ice cream, fudge sauce and M&M's! 2-3 cups vanilla ice cream or another flavour! In a food processor, process Oreos until no chunks remain. Add ½ cup hot fudge sauce and process until it comes together, almost like a dough. Press the Oreo mixture onto a 12" pizza pan (lined with wax paper if desired) and place in the freezer. Place your ice cream in a bowl and let sit on the counter for 10 minutes until slightly soft and just spreadable. Remove the crust from the freezer and spread on the ice cream. Swirl with remaining hot fudge and sprinkle with M&M's. Freeze until firm. Serve immediately upon removing from freezer -- the ice cream layer is thin which means it melts more quickly! If you use a good quality, cream-based ice cream, it will be incredible delicious but will melt more quickly. The more water in an ice cream, the slower it will melt. If you need a few minutes to serve the pizza, you can use an "ice milk" (like a generic ice cream), or simple freeze, remove to cut pieces, then store in the freezer until ready to serve so that the slices are ready to grab. 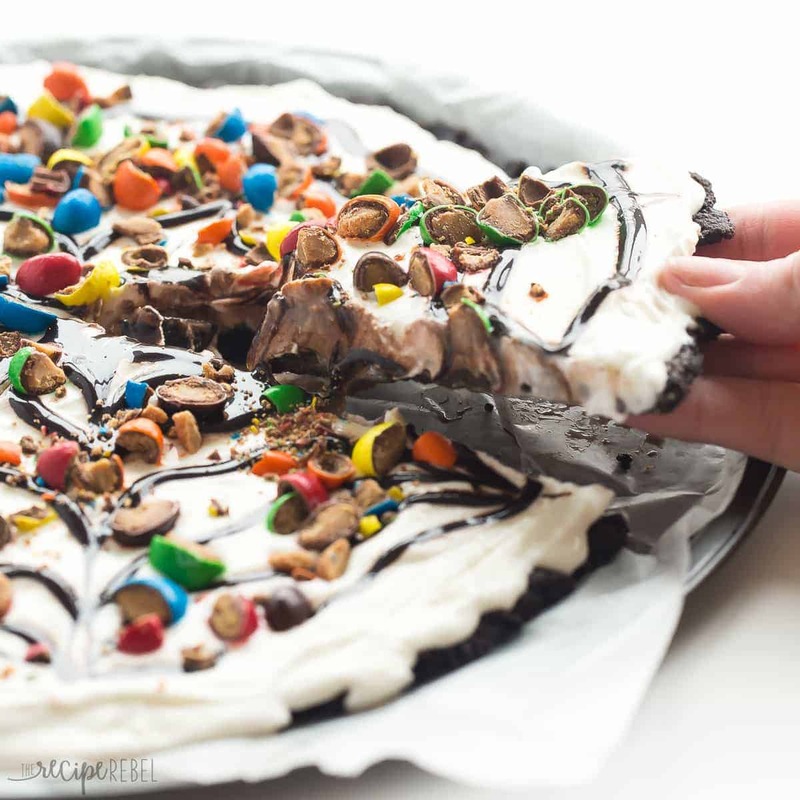 This Frozen Ice Cream Dessert Pizza (a Dairy Queen Copycat Treatzza Pizza!) is THE no bake summer dessert you need! An Oreo fudge crust topped with ice cream, fudge sauce and M&M’s! In a food processor, process Oreos until no chunks remain. Add 1/2 cup hot fudge sauce and process until it comes together, almost like a dough. Press the Oreo mixture onto a 12″ pizza pan (lined with wax paper if desired) and place in the freezer. Swirl with remaining hot fudge and sprinkle with M&M’s. Freeze until firm. Serve immediately upon removing from freezer — the ice cream layer is thin which means it melts more quickly! If you use a good quality, cream-based ice cream, it will be incredible delicious but will melt more quickly. The more water in an ice cream, the slower it will melt. 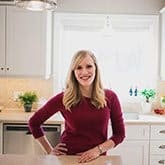 If you need a few minutes to serve the pizza, you can use an “ice milk” (like a generic ice cream), or simple freeze, remove to cut pieces, then store in the freezer until ready to serve so that the slices are ready to grab. What kind of hot fudge sauce do you recommend? On a side note, I plan on substituting the M&Ms for Reese’s Peanut Butter Cups! LOVE me some peanut butter and chocolate! My first ever job, throughout high school and into my early college years was at Dairy Queen. I now live in Ireland where DQ doesn’t exist, and summer just hasn’t been the same. I’m super excited to make this for my family who’ve never had the joy of an ice cream pizza- thank you so much! My sister worked at Dairy Queen when she was in high school so I’ve had my share of them too! I hope you and your family enjoy it! DQ was my first job, and I was fortunate enough to work in the “cake room”. I spent hours making cakes (actual ice cream cakes… Not decorating!) and Treatzza Pizzas. Dairy Queen will always hold a special place in my heart, but this totally had me flashing back to 1996!! That is so interesting Gina! I have always LOVED Treatzza Pizzas but we didn’t get them very much! Drizzle on some Shell topping and it mimics the cone dip put on them as well! Yes! I always wished very hard for a Treatzza Pizza or any other DQ ice cream cake for my birthday but never got one which probably explains why I LOVE them so much now 🙂 Lol. This looks gorgeous, Ashley! I want to dive right in! #winning! Ashley, this pizza is the best pizza EVER! Totally my kinda pizza – Um Oreos AND candy? YES please. Pinned! Haha, I knew you’d be on board! Thanks Jess! This looks so fun! Such a great idea. Love that Oreo crust ? ?.